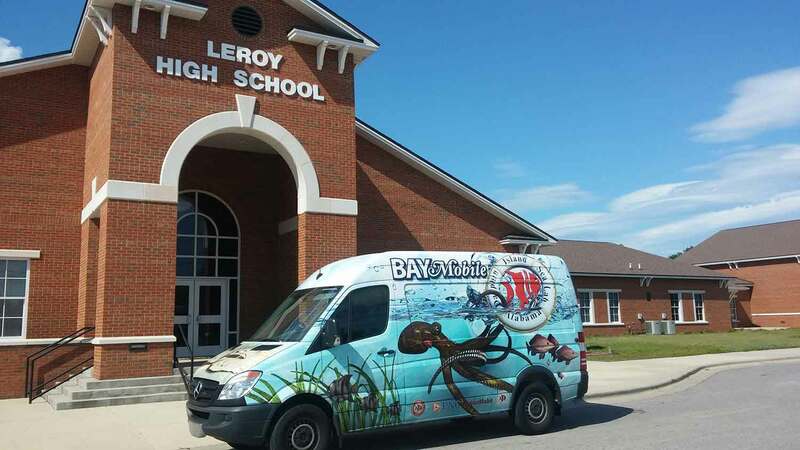 Discover an authentic Gulf Coast experience at The Dauphin Island Sea Lab. Our 5 unique venues combine on-point technology and amenities to keep you focused with spectacular views of Historic Mobile Bay and the Gulf of Mexico. Each venue can be tailored to create the perfect setting for your wedding and reception, corporate meetings, private parties, and birthday celebration. Our staff is also available to assist with catering arrangements and other business services for an additional fee. For more information on booking your event, contact Lori Angelo at langelo@disl.org. 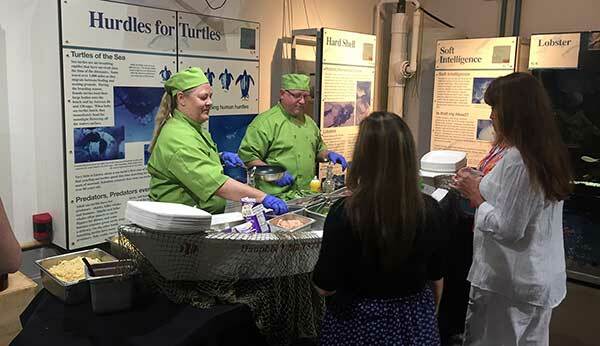 The Estuarium at the Dauphin Island Sea Lab offers a truly unique setting for any event. 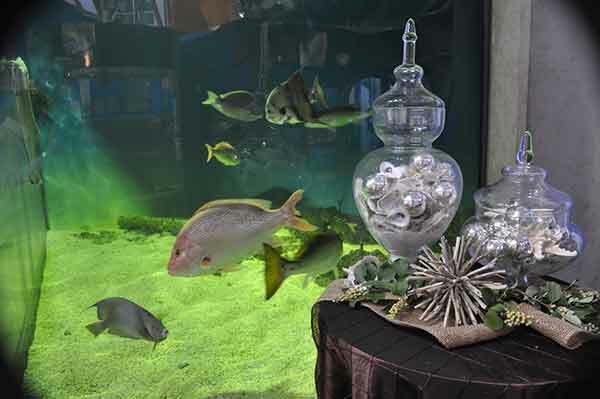 Whether you are planning a wedding, corporate or social event, the Estuarium can be exclusively yours after hours for an opportunity to dance and dine under the sea. Climb aboard the Miss May May, and set sail for a birthday destination to remember. 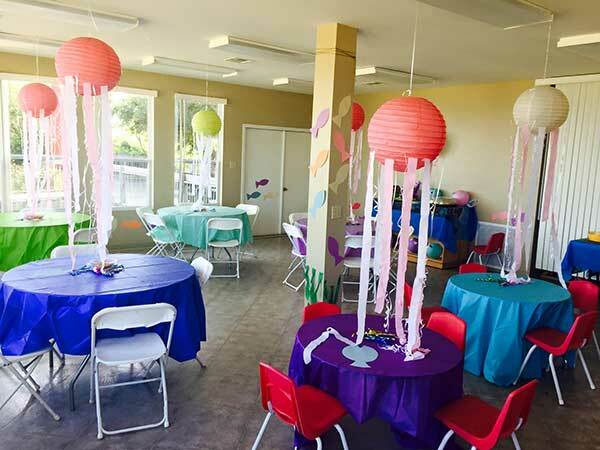 Feel free to create your own “fin-tastic” celebration in the Estuarium’s Schooling Room with refreshments and decorations of your choice. Both entertaining and educational, the adjacent aquatic and hands on exhibits inside the Estuarium provide hours of excitement while guiding your child through a journey of our precious coastal habitat. High-tech meets laid-back in the Richard C. Shelby Center for Ecosystem Based Fisheries Management at the Dauphin Island Sea Lab. From board meetings to corporate seminars, productivity flows naturally with the tides in this comfortable eco-friendly environment. Our state of the art video conferencing center, the first of its kind along the Gulf Coast, has earned the distinguished LEEDS certification for the reduction of negative environmental impact in construction practices and materials. Named for the Danish Research Vessel dedicated to Scientific Research and Marine Science Exploration, Galathea Hall’s 1152 square feet of meeting space faces the Gulf of Mexico. Located on the southern side of the Dauphin Island Sea Lab campus, Galethea is perfect for smaller groups to meet and retreat! 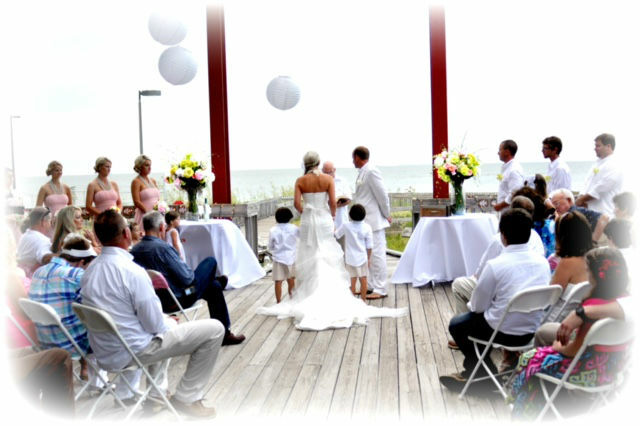 The Dauphin Island Sea Lab event staff is happy to assist you in every way by offering Day of Event Coordination and Full Banquet Services. Our customizable menus meet every budget and allow hosts the ability to make each event their own. Call us today for complete details on how we help you create a perfect event. 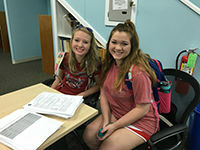 A request to use facilities on the Dauphin Island Sea Lab campus must be submitted through the Event Coordinator’s office no later than two weeks prior to the event date. The event request must include the date, time, a point of contact, and details of the event. Any use or mention of the Dauphin Island Sea Lab name or logo cannot be used in conjunction with the event without written permission from the Public Relations Director. All videos and pictures which include the Dauphin Island Sea Lab name or logo must be approved before distribution to the public. 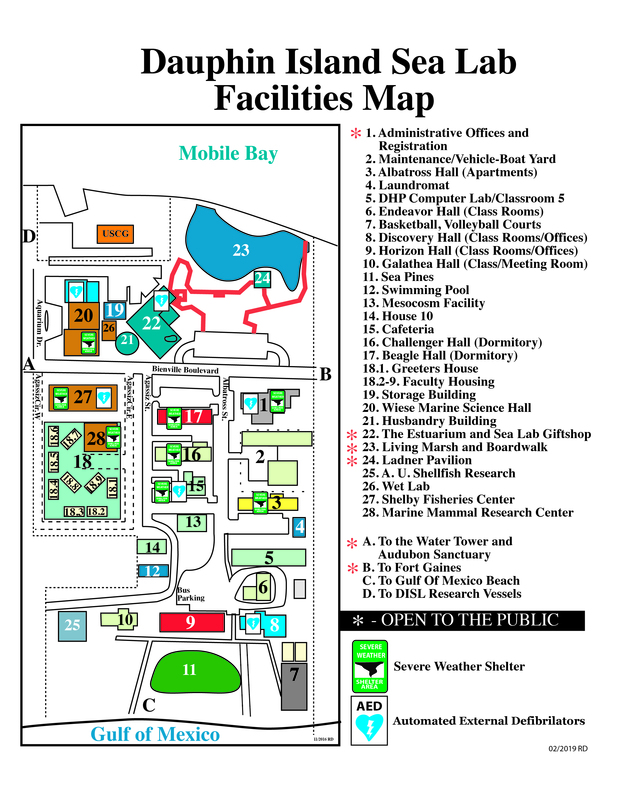 All directional location information must be distributed as the ‘building name’ on the Dauphin Island Sea Lab campus.